Haven’t we all hunted around for that one quirky piece of home décor or art that makes a statement and adds to the charm of that corner at home? When we finally found one, we couldn't contain our excitement. Here's why. Bottle Strokes, an upcycling brand, was started with the aim of reviving old and discarded bottles and showcasing them as utilitarian art. 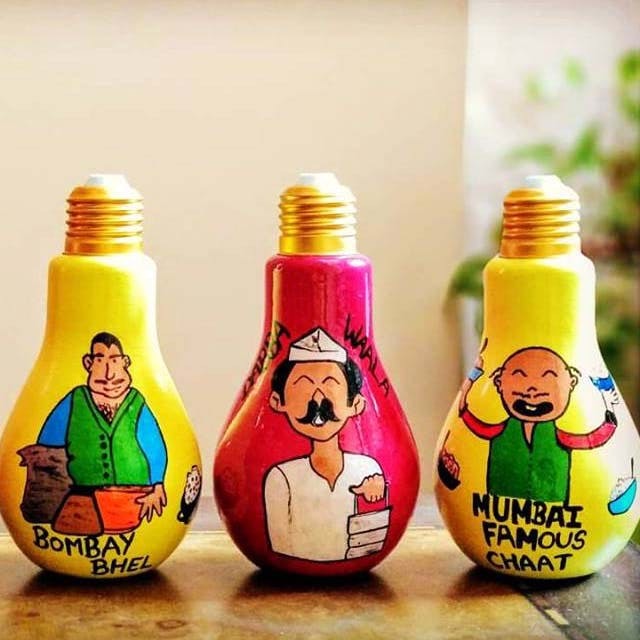 Started by Shruthi Shanker, a psychologist by profession who got into upcycling and art, their handmade products are customised and one-of-a-kind, adding that whimsical element to our everyday items. Their essence lies in hand painting realistic and representative art from across the country; playing with India’s art and culture and trying to do justice to its rich heritage. Every bottle, mug, tawa or kettle undergoes an elaborate process of cleaning and drying before they begin painting on it. This process helps keep the paint intact for years unless it is scrubbed or mishandled. The brand believes in upcycling old products with an aim to also train women from underprivileged backgrounds in the concept of art, giving them a platform to showcase their talents and earn a living through art. That in itself is inspiring enough for us to want to help their cause by buying their beautiful spread. Their designs are ethnic and quirky, with artwork that makes you reminisce good ‘ol India. You’ll also find patterns that are women-centric and emphasize on the strength of a woman. Their products range from tea glasses, kettles, beer mugs, bottles, shot glasses, water bottles, steel-ware and more. Their price range is from INR 400 to INR 3,000. Their kettles, for INR 1500, are truly an investment, don't forget to buy them.